This fall my friend Laila had visited Skagen, on the northern most tip of the Danish Jutland peninsula. 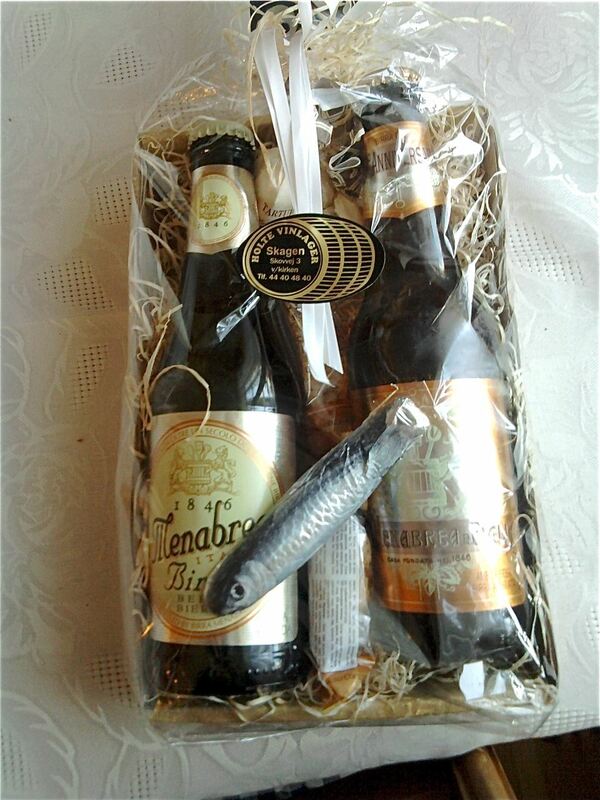 At Holte Vinlager in Skagen she bought a neat Italian gift parcel. It did not contain wine but beer (!). Did you know that Italian make rather decent beer like Peroni. Here were two other, rather refreshing varieties. Italy passed France as the world's biggeest wine producer in 2011, so guess if I was surprised that my friend and traveling companion Laila brought me a a gift packet of Italian beer (!) when she came to stay overnight in our summer home in November. 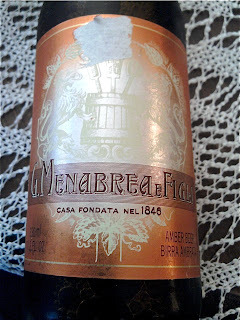 I would believe (and I have not checked yet), that beer is a northern Italian phenomena together with Parmesan cheese, polenta and Parma ham. Checking I am pleased to say that I was right, as its origins is in the city of Biella in Piemonte, between Milan and Turin. 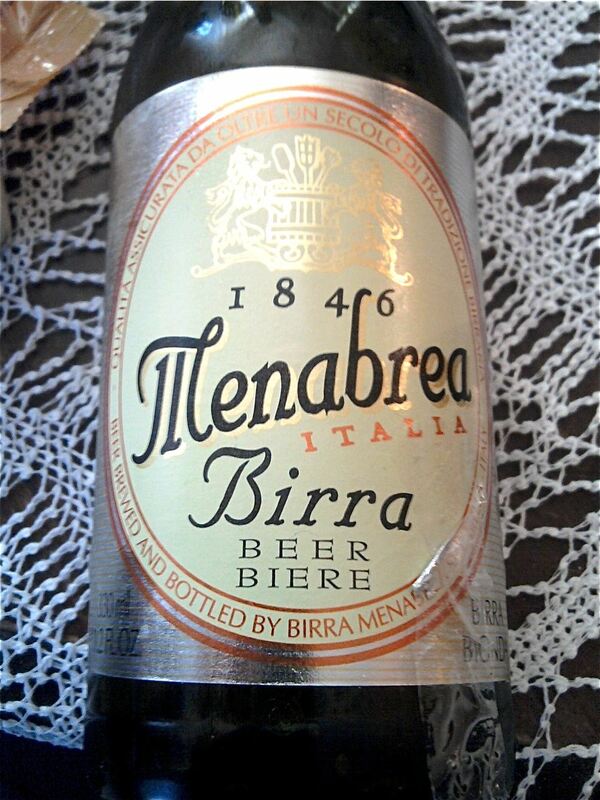 The Menabrea brewery in Biella has made their brew since 1846. The gift packet contained two varieties. We started with the the one with the silver label and light colour. It was a refreshing and rather standard light beer. Pity it was opened during fall. It would have been far mot refreshing on a hot summer day. 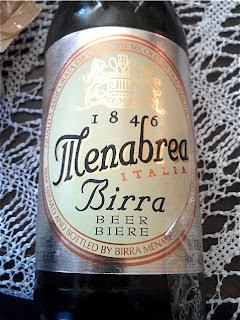 The second bottle of Menabrea beer was an amber ale, much darker in colour, and is sweeter as our seasonal Christmas brew. I prefer these darkes ales, provided that they are not too sweet. 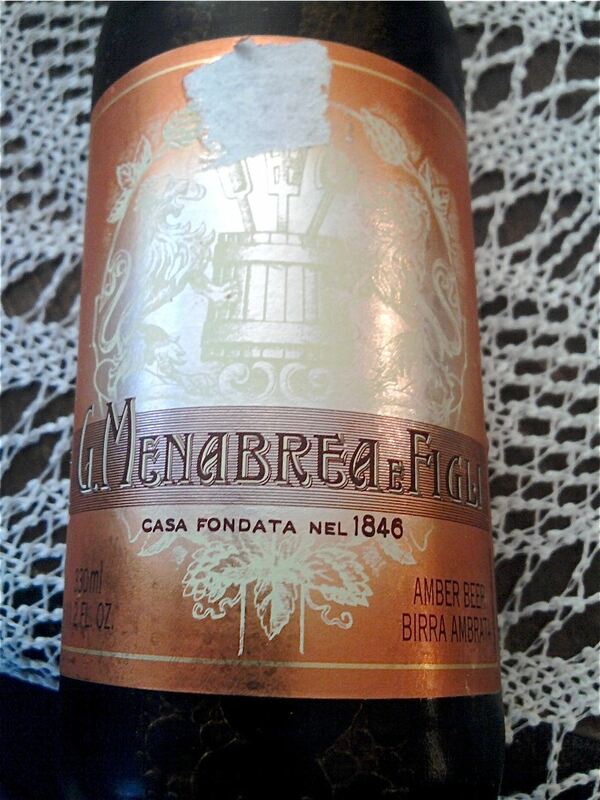 The Menabrea amber ale had that hint of caramel that I like!